Cord Blood News | Cordblood banking - Secrets of stem cell technology revealed! It is said that cord blood stem cell have been successfully used for the treatment of patients with type 1 diabetes. Cord blood stem cells used to “reeducate” (as the term used) the immune system T cells of diabetic patients by making their pancreas to start producing insulin again, to reduce the amount of insulin needed to inject. It becomes successful to treat with long-standing diabetics who believed they have no ability to produce insulin anymore. Type 1 diabetes develops when the own immune system of the body attacks and destroys the insulin producing cells in the pancreas. This results to body that can’t produce enough insulin and can cause high blood sugar to damage all the organs in the body. Research shows how scientists developed a procedure called “Stem Cell Educator Therapy” where the blood of the diabetic patient is circulated through a closed loop system that separates lymphocytes (it is a class of immune cell that includes T cells) from the entire blood. Then, co-cultures them with cord blood stem cells from healthy donors that take two up to three hours before returning the “re-educated lymphocytes” to the blood circulation of the patient’s body. The results show that patients had some residual beta cell function (moderate type 1 diabetes) and the required insulin dose for the patients was down by 38% at the 12th week. Patients who received the Stem Cell Educator Therapy improved levels of C-peptide, a biomaker used to measure how beta cells are working (a protein fragment that is left behind when the insulin is process in the pancreas). Donating cord blood for public use is similar to giving blood. It’s free, it’s easy, it’s about making a difference and it’s also recommended by American Academy of Pediatrics (AAP). However, most public cord blood banks are facing scarcity due to lack of supply. Lack of awareness is the number one reason why couples don’t donate cord blood. 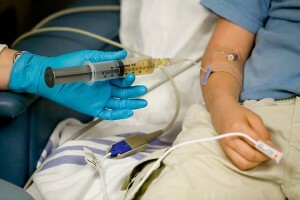 They are not properly informed that the umbilical cord contains stem cells and it can save a life of an ailing child. If these couples are given the right information they need to understand, they will not be hesitant to make a donation. Second reason for scarcity is that donating cord blood is not also offered at every hospital in the country. 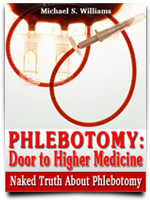 Only 200 hospitals are affiliated with a public cord blood bank. This number is currently not enough to constantly supply the need for stem cells. Cancer and other malignant diseases occur randonly and it spares no socioeconomic class or geographic region. In fact, on an average count, 1 in every 4 elementary school has a child with cancer (Childhood Cancer Facts, 1999-2002). Public cord blood banks receive inadequate funding is the third reason. The procedures for storing a single unit is expensive. It costs around $1500 and most of the public banks have no enough budget to consistently collect, test, freeze and store hundreds of units. That’s why; the Congress passed the Stem Cell Therapeutic and Research Act of 2005 to give value to cord blood donation. The act was reauthorized in 2010 and it created the National Cord Blood Inventory. Its goal is to increase the number of donated cord blood units from people of different race and ethnic background. Additional funding is also approved in an attempt to increase the availability of cord blood units in registry. With this increase in support, it’s expected that those thousands of children and adults can easily undergo a transplant right after they find a match. It’s confirmed cord blood stem cells can cure malignant diseases such as cancers (Acute Leukemia, Chronic Leukemia, Hodgkin & Non-Hodgkin Lymphoma and Myelodysplastic Syndrome), blood disorders, immune disorders, metabolic disorders, brain injury. cerebral palsy, type-1 diabetes and hearing loss. To donate cord blood in public banks, use BloodBanker – The largest online directory of blood, plasma and cord banks! Delayed Cord Blood Clamping: Is it beneficial? It’s confirmed that the umbilical cord of a newborn is filled with stem cells that cures malignant diseases such as cancers, blood disorders, immune disorders, metabolic disorders, brain injury. cerebral palsy, type-1 diabetes and hearing loss. The question that left to the mind of various medical experts is: When is the right time to clamp the cord? Paul Sanberg, MD is the director of University of South Florida Center of Excellence for Aging & Brain Repair and this is what he wrote in his research. Dr. Dong-Hyuk Park, co-author of Sanders, pointed out the significant relationship between the time of cord clamping and the transfer of stem cells. Park stated the blood cells are starting to form as early as the mother is declared two-week-pregnant. Klasko is an obstetrician, senior vice president of USF Health and dean of USF College of Medicine. Conclusions were made by these researchers and they all agreed the clamping procedure should be delayed to benefit the newborn’s health needs and there will be no visible problem once the cord is stored. United Kingdom – The Inner Wheel Club is one of the largest clubs in the world with a membership base of 100,000 women and grandmothers. The club began in January 1924 with an aim to create friends and to raise funds for international, national and local charities. Carol Kelley stands as the club president this year and her group wishes to educate the public about the benefits of cord blood donation and raise money for the event “Coin for a Cord Day,” which will be held on May 9. In order to raise money, various personal items (pens, pins, etc.) are to be sold on the fifth of May at Cherrybrook Shopping Village and at Penant Hills Railway Station on the sixth. All money will go to research institutions to conduct more scientific researches about cord blood donation. Phil Coelho is not a new person in the business world anymore. As the president and founder of SynGen Inc. five years ago (a company that regenerates cures by the use of innovative engineering), he proudly announced that the company received $5 million from a venture capital firm (Bay City Capital, LLC) in San Francisco to support the harvesting phase of cord blood stem cells. The immediate goal of SynGen is to spread the availability of SynGen-1000 to cord blood banks. SynGen-1000 is a type of device used for the separation and storage of cord blood stem cells after it’s harvest from a newborn. The proceedings for the approval process through Food & Drug Administration is still on-going. It’s confirmed cord blood stem cells can cure malignant diseases such as cancers (Acute Leukemia, Chronic Leukemia, Hodgkin & Non-Hodgkin Lymphoma and Myelodysplastic Syndrome), blood disorders, immune disorders, metabolic disorders, brain injury. cerebral palsy, type-1 diabetes and hearing loss. To search for cord blood banks, use BloodBanker – The largest online directory of blood, plasma and cord banks! April 12, 2012 – A long day symposium entitled “Second Milstein Symposium: Perspective in Cord Blood Biology and Clinical Applications” was organized by New York Blood Center (NYBC) at NYBC Murray Sargent Auditorium. The event was attended by more than two-hundred doctors, scientists and other experts in the medical community. The symposium’s opening reception took place on the ninth of April 2012 and it was hosted by NYBC Chairman Howard P. Miltein along with Christopher D. Hillyer, MD – who plays the role of a president and CEO of NYBC. “In addition to housing the world’s longest standing and largest cord blood bank, NYBC is now home to the only cord blood bank worldwide with products that are FDA-approved for human transplantation. That is an extraordinary achievement. This symposium is a testament to the remarkable progress that has culminated with FDA approval of HEMACORD(TM).” Dr. Miltein said. HEMACORD(TM) is a type of hematopoietic and cellular therapy product approved by Food and Drug Administration (FDA), which cures blood forming disorders. 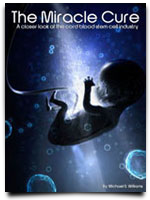 The product is manufactured by Milstein’s team in National Cord Blood Center. Dr. Hillyer acknowledged the 1989 NYBC Program Director – Dr. Pablo Rubinstein. Rubinstein did not only come up with the original concept of banking cord blood but he was also the world’s first founder of public cord blood program. It’s time for the state of Oklahoma to have its own cord blood bank. Representative John Enns proposes a bill (House Bill 2421) that calls for a $5 additional charge on birth certificate. The current cost of obtaining a birth certificate in the state is $15. The added charge is used to build their own cord blood bank for the purpose that every person who is in need of treatment will no longer wait for the arrival of his cord blood match. “You have got to understand that $5 extra charge will be sunsetted in five years — it will go away. Within those years, the (money collected) will allow us to set up a cord blood bank, and afterward, it will be self-sustaining.” Enns said, who also help in creating Oklahoma Adult Stem Cell Research Center. The use of stem cells in umbilical cord, as confirmed by US Department of Health and Human Services, is the best possible treatment for life threatening diseases like leukemia, lymphoma and genetic disorders. The cord blood transplantation is known for its ability to restore damaged blood cells. Searching for cord blood banks? 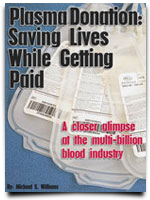 Use BloodBanker – The largest online directory of blood, plasma and cord banks! Newborn Possibilities Program: How to Qualify? Cord Blood Registry, the world’s largest stem cell bank located at San Bruno California, introduces its newest program that encourages more couples to bank with them. The program is called Newborn Possibilities Program. This type of program does not only provide treatment option for family members with malignant diseases. It also aims to enroll children in clinical trials in which their own stem cells are used to give cure to their condition. That means if your son or daughter is diagnosed with any life-threatening diseases such as brain injury or cerebral palsy, there is a chance for them to recover without paying a dime for their surgery. However, this program is only open for limited families. Only those families with sick member can join. Parents are also allowed to join the program once their baby is prenatally diagnosed with illness that requires stem cell transplant. Since the inception of the program, Cord Blood Registry stored more than four hundred thousand units while its 3,000 associated physicians are expected to collect a specific number of units too. Searching for a cord blood bank? Use BloodBanker – The largest blood, plasma and cord blood directory online!